Funerals mark the final chapter of our lives. Grief stricken family members are faced with many decisions to make for their loved ones with rapidly approaching deadlines. Every family is unique, and everyone envisions different types of funerals for their loved ones. Funerals are influenced by cultural and religious traditions, as well as family finances and personal preferences. These factors help determine whether memorials will be elaborate or modest, public or private, religious or secular, and where it will be held. While reasons for choosing the type of ceremonies vary, basic funeral services offer everyone who attends an opportunity to properly grieve. 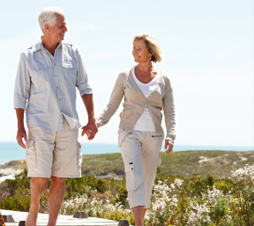 Cremation Options is here to assist and guide you throughout the entire planning process. We prepare and oversee the entire ceremony, ensuring your loved one's final wishes are carried out. With our professional assistance and knowledgeable staff as well as a beautiful selection of merchandise and ceremonial options; the final tribute to your loved one will be as meaningful as the life it celebrates. Funerals are for exchanging stories and rejoicing in the positive aspect of life. In order to begin the healing process, family members find it rewarding to communicate emotions through a final farewell. Listed below are different types of funerals that may be selected: A. The type of funeral, often referred to by providers as "traditional funerals" include viewings / visitations and formal services; such as burials, entombments, or cremations. These ceremonies are generally the most expensive. Cost include: 1. The funeral home's basic fee for professional services. 2. Embalming and dressing of the decedent. 3. Funeral home rental for the viewing and / or service. 4. Rental of a hearse and limousine(s) for transportation of the decedent and their immediate family. 5. Merchandise fees for caskets, decorative urns, vaults, and cemetery plots etc. B. Immediate burials are the direct disposition of decedents at cemeteries. Neither viewings nor visitations take place; therefore embalming is optional. Memorial gatherings may be held at gravesides. Immediate burials usually cost substantially less than traditional or full service funerals. Costs include: 1. Funeral home's basic fee for professional services. 2. Casket purchases or burial containers. 3. Transportation and decedents care. 4. All cemetery fees (graveside services are an additional cost.). 3. Simple cremations are the incineration of human remains shortly after death. These funerals are currently the most cost effective (approximately ¼ cost of the traditional funeral). Embalming is not a requirement. The immediate family usually places their loved one's cremated remains in a decorative urn or other appropriate receptacle. Memorial service funerals with or without the cremated remains present may be held in remembrance of your loved ones at churches or funeral chapels. These types of funerals allow families and friends to participate in life celebrations. Cremated remains can be kept at residences, buried at cemeteries, placed in crypts, niches, or scattered at sea or on land. Costs for these simple funerals include: 1. 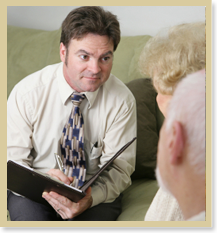 Basic professional services of funeral director and staff. 2. Transportation fee from the place of demise to the crematory. 3. Selection of cremation casket or alternative cremation container. 4. Purchase of a decorative urn or other appropriate receptacle selected by the family. 5. Additional fees will apply if the cremated remains are scattered at sea by a scattering service or placed at a cemetery inside of a plot, niche or scattering garden. *For your protection, the "Funeral Rule", enforced by the Federal Trade Commission (FTC), protects consumers by allowing them to purchase funeral goods, such as caskets and other items from a source other than funeral homes, without being penalized in any way. When beginning the arrangement process, the funeral director, by law, must give you a General Price List (GPL) of the goods and services they provide. With the exception of the non-declinable fee (the basic fee of the funeral director and staff, which must be accepted), you can choose or omit any item on their GPL. The funeral director cannot change the prices on their GPL, charge you a fee, or offer you different price lists to penalize you for purchasing funeral goods elsewhere. While inquiring about funerals you should not limit your search to just one particular funeral home because you may risk paying more than necessary for the services. You will be narrowing your choice and options of merchandise and services that may be available. Comparison shopping for funerals need not be difficult, especially if it's done in the comfort of your own home by searching funerals on websites or by the use of a telephone. The "Funeral Rule" requires directors to provide pricing information for funerals from the site or over the phone to anyone who inquires. In addition, many funeral homes are happy to mail you their price lists and company information per your request. Another important option to consider is pre-arranging your own funeral. An increasing number of people are planning their own funerals, designating their preferences, and sometimes even paying for them in advance. Pre-planning funerals is a loving way to relieve your family members of additional emotional strain. Planning funerals are very difficult. Whatever pathway chosen in life, however long the journey; the venture is always filled with many marvelous moments. Some involve joy and laughter; others sorrow and uncertainty. We're honored to help you celebrate someone's lifetime of achievements and beloved memories. Cremation Options is available 24 hours daily to answer all of you questions and concerns, so please don't hesitate to contact us at any hour. For additional information on funerals; please complete the contact us information and our staff will accommodate you promptly.